Mention the name Seth Johnson to anyone and they will almost certainly tell the same story about his contract at Leeds United. The legend goes that Johnson, earning around £5,000 a week at Derby County, went into negotiations with Leeds chairman Peter Ridsdale hoping for an increase to around £13,000 a week. Ridsdale, however, offered £30,000, and then immediately upped that to £37,000 when his opening gambit was met with stunned silence. Ridsdale dismissed it as a myth back in 2007, insisting Johnson was on “at least £10,000 a week less” than had been speculated in the press, but the myth has stuck. We spoke to Johnson to find out what really happened. “People don’t know the story,” Johnson says. “When they talk about negotiations for the contract, I wasn’t even there. The contract had nothing to do with me. “I remember being at home when it got sorted. I’d agreed to go, but my agent rung me up and told me about the deal. Speaking to Johnson, it is clear it hurts that the story persists. He says four times in total that the move was not motivated by money, but one suspects he holds little hope of the myth disappearing any time soon. “It’s just one of those things,” he sighs. The myth might not have become so prominent were it not for the fact that Johnson’s four years at Elland Road went so badly. He made just 59 appearances, suffering injury after injury, and after eventually working his way back to fitness found himself frozen out because one more appearance would trigger a further payment to Derby which Leeds couldn’t afford. “I’d been fit for a while, and I didn’t know that about my contract,” Johnson says. 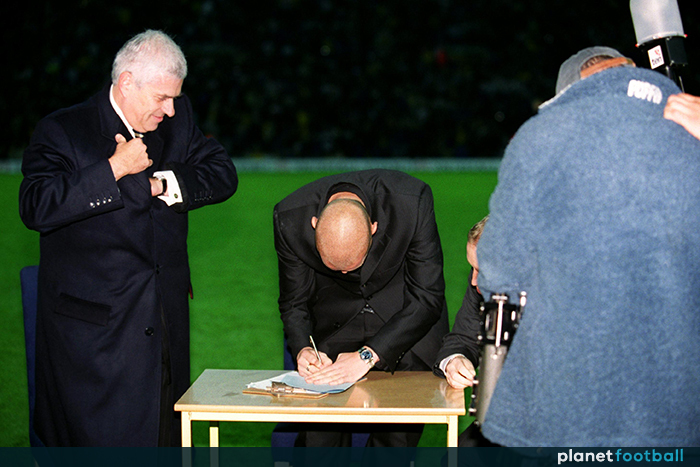 “I got a lot of stick from Ken Bates in the press, but I never even met the guy. He didn’t know anything about me as a person so that wasn’t nice. “I was desperate to go to Leeds and do well. They were flying high at the time, and I was starting to get a decent reputation for myself, but I kept breaking down with different injuries. “I’d never really been injured before then, but I think I had seven or eight operations within four years. It was just a nightmare, I could never get a run of games going. “It was a tough time, but it’s just one of those things, you don’t get everything go your own way. When I was fit, I enjoyed being there. The lads and the staff were brilliant. Johnson’s career had only seemed to be heading in one direction before he joined Leeds. He had broken into the Crewe Alexandra team as a 17-year-old and made over 100 appearances by the time he moved to Derby for £3million as a 20-year-old in 1999. Johnson had turned down Derby a few months earlier because Crewe were struggling at the bottom of the second tier and “he didn’t want leave with us in so much trouble,” according to Dario Gradi. That story certainly flies in the face of the one about his Leeds contract, as does the fact that he rejected Liverpool in favour of Derby after he had stayed and helped Crewe survive that season. “I’d have hardly played at Liverpool,” Johnson says. “I wanted to go and play. I’d played over 100 games in two years for Crewe so I didn’t want to go and play in the reserves or be a sub a lot. Johnson took to Premier League football so well that after just a year at Derby he was handed his England debut as a substitute against Italy in what was David Beckham’s first game as captain. 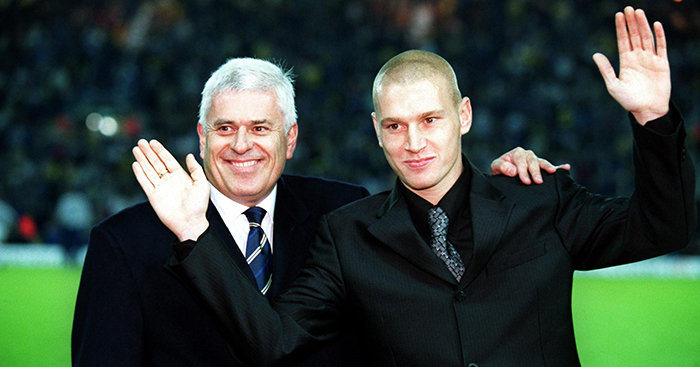 When Leeds signed him for £7million in 2001, Ridsale said it “reflects the progress we have made”. Hindsight may have altered opinions over time, but Johnson was an exciting signing for the Whites at that time, and his struggles there are massively at odds with the rest of his career. He actually almost left the club during the 2002-03 season but, typically, injury cost him the chance. “It was when Steve McClaren was at Middlesbrough,” Johnson says. “I was there and it was all done, but I failed a medical. I had a tear on my cartilage that I didn’t even know about. When Johnson finally did leave West Yorkshire in 2005, he could not have been happier that it was to return to Derby. “It was my first season at Leeds that I’d done a full pre-season,” he says. “I’d broken down every other year I was there. But they weren’t going to play me because they’d have to pay more money to Derby. “To get the move back there was brilliant. As soon as I knew they were interested I didn’t want to speak to anyone else. His last game for Derby proved to be his last as a professional altogether. It was the ultimate bittersweet day. Derby beat West Bromwich Albion 1-0 in the 2007 Championship play-off final to seal a return back to the Premier League, but Johnson was substituted a few minutes from the end with a knee injury which would ultimately end his career. “I was out of contract with Derby at the time and because I’d injured my knee they weren’t going to give me a new deal. “The surgeon said I should retire and that my knee was in a bad way. In the back of my mind I wanted to give it another go, but I didn’t want to go to another team injured and keep breaking down. Johnson was only 28 at the time, and a decade later he is still struggling to fill the gap in his life that football left. “Speak to anyone who knows me and they’ll tell you I’ve always been football mad,” he says. “Early on, I really struggled with [not being a footballer] because to go from something you’d done all your life pretty much every day to suddenly not doing that was difficult. “Even now, I want to do something, but I still don’t know what. I’d rather do something that I enjoy doing, and I never really fancied the coaching side of things. Johnson will always have regrets about how his career panned out, but he played at the top level, represented his country and is still loved by supporters of two of the three clubs he represented. He suffered more bad luck than most, but there were plenty of successes. Seth Johnson is one of two player-managers that Derby fans have the chance to play alongside in a Play With A Legend event at Pride Park on May 2017. Play With A Legend have further stadium events coming up this summer Leyton Orient, Charlton, Wolves, Crystal Palace, Southampton and Leicester, offering the unique chance for fans to experience a match day just like a professional footballer.